After you have made the decision to have plastic surgery, choosing the right plastic surgeon for your needs is the logical next step. 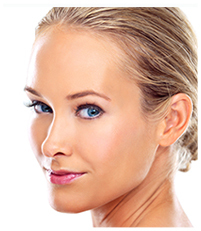 Choosing a qualified plastic or cosmetic surgeon is not easy, but it is worth the effort. First, make a list of potential plastic surgeons. ‘Word-of-mouth’ referrals from our patients is our largest source of new patients, and a friend or relative who has had cosmetic surgery is a good place to start. You can do a Google search for a plastic surgeon in your area, and then study their websites. Recommendations from health care workers, medical directories, and even the Yellow Pages are also useful sources for names. Advertising is something that all cosmetic plastic surgeons use to maintain public awareness, and the style and content of an ad can give you additional insight into a plastic surgeon. Remember that you are only making a list and your final choice will be based on your own experience with the doctor and his staff. The next step is to investigate each physician's credentials. Limit your list to doctors who are certified by the American Board of Plastic Surgery (ABPS), the only plastic surgery board certification under the supervision of the American Board of Medical Specialties, which is responsible for board certification in all of the major medical and surgical specialties. Do a thorough background check on their medical school and residency training. You can obtain this information by contacting your local hospital, the Indiana Medical Society, or the American Society of Plastic Surgeons (ASPS). Malpractice claims are common in plastic surgery, and if a plastic surgeon has never been involved in a suit, then he probably does not have an active surgical practice. However, it can be helpful to see how often a plastic surgeon is sued and if these suits are subsequently closed without payment, which typically means there was no basis for the suit. After narrowing your list by checking credentials, you can begin to examine your potential surgeons on a more personal level. Call several cosmetic surgery practices and ask to speak with the Patient Coordinator. An in-depth conversation with the Patient Coordinator will often give you an accurate first impression about how you will be treated as a patient. If your first impression is favorable, schedule a consultation. The ideal plastic surgeon will make you feel comfortable, take the time to listen to your concerns, answer all of your questions honestly and accurately, and provide you with objective recommendations. Bring a list of questions and ask as many as you like. Ask to see "before and after" photos of other cosmetic surgery patients and ask to speak with former patients to listen to their experiences. Once you have completed all of these steps, chances are that you will be satisfied with your choice. Many people find it helpful to have consultations with more than one plastic surgeon. This approach allows you to compare the different personalities and styles of each doctor and his staff. During your consultations, express all of your goals and concerns, listen to their recommendations, and discover how attentive they will be to your needs. At this time you should be ready to choose the right plastic surgeon for you. 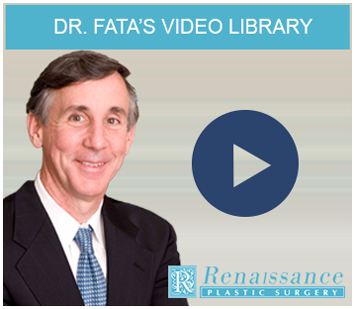 Once you have placed Dr. Joseph Fata on your initial list, we are confident that he will be your first choice because of our outstanding results and our genuinely happy patients. Our reputation is one of experience, expertise, and individualized care and attention. Schedule an initial consultation through our online contact form or by calling 317-575-9152 so that you can make an informed decision. We look forward to hearing from you!